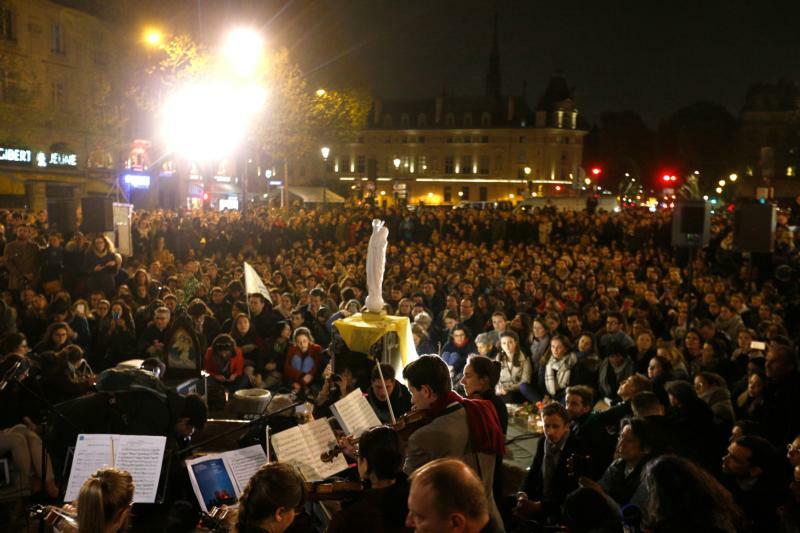 MONTREAL (CNS) — The fire that ravaged a large part of Notre Dame Cathedral in Paris offered an opportunity for French Catholics with Canadian connections to reflect on the impact the event can have on their faith. “I was present. I went all the way around Notre Dame. I saw thousands of people. Every 50 meters I saw people praying around a priest. Others sang a song to the Virgin. To see such a monument go before one’s eyes leaves no one indifferent,” he in a telephone interview from Paris. After the fire, as the world peered inside the Gothic cathedral to see many symbols of the faith and cultural heritage of Catholicism had survived, things did not seem as bad as feared, she said.